The business would also not be allowed to claim any un-availed input tax credit for “goods lost” or “destroyed”. 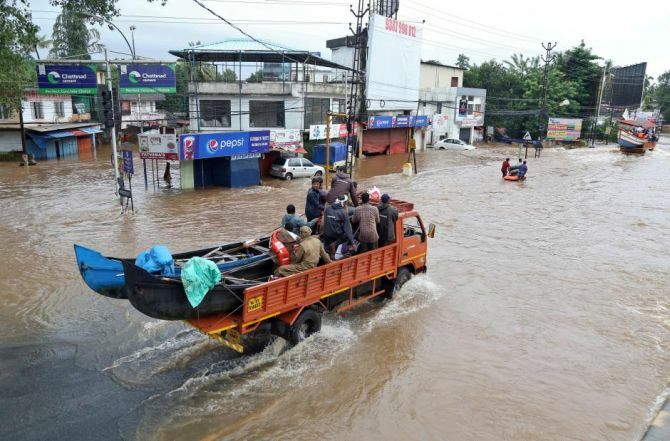 Businesses in Kerala, still trying to recover from the recent floods, might have to pay back input tax credit availed of for “goods lost, stolen, destroyed or written off”. They might also have to pay a penalty of 18 per cent on the credit already claimed. A recent instruction from the state’s Goods and Services Tax (GST) authorities to zonal officers indicates this. According to Section 17(5) (h) of the Central GST Act, businesses that have already claimed input tax credit with respect to “goods lost, stolen, destroyed, written off” are supposed to give back any credit availed of. Input tax credit is the credit received for paying input taxes towards inputs used in the manufacture of products. Similarly, a dealer is entitled to input tax credit for goods purchased for resale. Experts said if the tax department goes by the book, it will be within its right to claim back any input tax credit availed of in lost or destroyed goods. “Legally, it can also deny claim for credit for goods destroyed in the flood,” said Pritam Mahure, a Pune-based GST expert. According to Harpreet Singh, partner, KPMG, the term “destroyed” is not defined under the law and hence would encompass not only goods destroyed on account of spoilage but also destroyed by flood, earthquake, etc. “Such instruction by the Kerala GST authorities appears to be untimely, especially when the state and its people are still struggling to cope with a calamity of such a scale,” he said. Experts said there are no explicit provision under the Act to overrule the restriction of Section 17 (5) (h). However, under the circumstances that warrant special consideration, the government can always come up with an amendment in the Act on the recommendations of the GST Council. “The GST Council could discuss this provision and clarify suitably or propose an appropriate remedy for Kerala,” said Mahure. Any relief given to Kerala manufacturers and dealers will require an amendment in the Act and set a precedent for the industry, experts added. The GST Council is expected to meet in the last week of September. Why we must salute Kerala's fishermen!